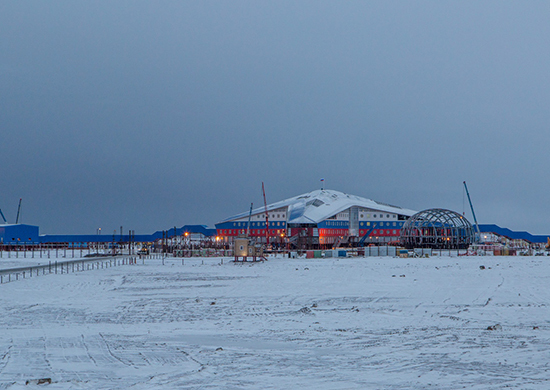 Construction workers at Russia’s new Arctic military bases are left in the cold without salaries and food. The ambitious upgrade and development of military bases and installations in the remote Russian Arctic comes with a price not only for the state budget. For many of the construction workers involved in the projects, the deployment in the desolate north has a severe human and social cost. Reports from a number of the bases currently under upgrade indicate that conditions for workers are critical. Following months without salaries, workers at both the Island of Kotelny in the New Siberian Islands and at the Franz Josef Land laid down their work and started a protest strike. The conflict was resolved only after media attention, newspaper Voennoe.rf reports. The two bases will be among Russia’s key infrastructure objects in the high Arctic. At Kotelny, the complex ”Severny Klever” will be able to house 250 people, among them both military personell and service staff. A total of 640 workers have over the last year been involved in the construction operations, RIA Novosti reports. At the Alexandra Island in the Franz Josef Land, a total of 150 military officers will be able to live automously for 1,5 years at the complex. The latter complex is located at 80 degrees north and will be the largest human-made structure this far north. The workers at the”Severny Klever” in Kotelny have now sent a request to the prosecutor’s office in Tiksi where they report about a series of violations by employer company Zapsibgazprom-Gazifikatsia. We live in a delapidated building without proper sanitary factilities and accommodation condition, the letter reads, Voennoye.ru reports. Furthermore, the workers are supplied with only a minimum of food rations and payments are low and irregular, the news site informs. As previously reported, the situation is also critical at Cape Schmidt, the far eastern Arctic base currently under upgrade. At least 40 construction workers are currently on site without salaries and supplies, and there has been no construction activity for several months. The situation at Cape Schmidt follows a conflict between company Rusaliance Stroy and the federal Agency for Special Construction (Spetsstroy). The latter has stopped financing of the new base, and construction works have consequently been halted, company representatives told newspaper Kommersant.